Today we’re talking Inver restaurant, a beautiful contemporary Scottish eatery nestled amongst the countryside of Argyll & Bute. Scottish readers, listen up! So a couple of weeks back, Andrew and I found ourselves with a rare free weekend. I’ve lived in Scotland for almost two years now and the furthest I have ever ventured outside of the cities of Glasgow and Edinburgh… is Loch Lomond. It’s shameful and not a fact I share lightly, particularly given my penchant for travelling away from the beaten track and discovering hidden gems. And ‘hidden gem’ is the best possible way to describe Inver restaurant. Perched on the side of an unassuming country road deep within the village of Strachur, you’d perhaps miss this restaurant if you weren’t looking for it. Luckily, Inver’s reputation precedes it. Like us, I can imagine that most people visiting Inver were looking for it. We actually discovered its existence by happy accident, whilst breakfasting at a similar hidden gem in the Southside of Glasgow- Bakery 47. Inver had partnered with Bakery 47 for a special supper club weeks before and left behind their business cards. I picked one up, and took a note of the name on my ever-growing list of restaurants and cafes to try around Scotland. We arrive early, a little before dinner service is set to begin. Nonetheless we’re warmly ushered into a cosy lounge area occupying a romantic window seat, higgledy piggledy stacks of vintage books like the ‘Famous Five’ and a big sofa sat in front of a roaring fireplace. Cute, huh? I’m particularly excited about the fireplace; it lends a homely, relaxed feel to the space. We both order a glass of the Gran Credo Tempranillo from the drinks menu whilst we wait to be taken to a table in the restaurant. From here I can see all the restaurant staff lounging around a long table, laughing and chatting easily as they eat their dinner before service begins. Just like my first impressions of the restaurant, I think this is lovely. Our food comes served upon muted stoneware; the food does the talking here. My potato dumplings with sheep’s cheese, charred tenderstem broccoli and dill are like soft clouds that melt away in the mouth, whilst the broccoli is still firm and crunchy; slightly burnt, which offsets the delicate flavour and texture of the sheep’s cheese. I’m not averse to vegetarian dishes by any stretch, but even so, I would not normally order one when dining out. After all- if perfectly cooked meat and fish can be found anywhere, it’s at a top restaurant. However, this particular dish sounded great even to the carnivorously minded. Andrew’s steamed Loch Fyne mussels (…naturally) with dill and white wine cream were a classic but well judged choice- simple, elegant and heartily mopped up with some freshly sliced sourdough. 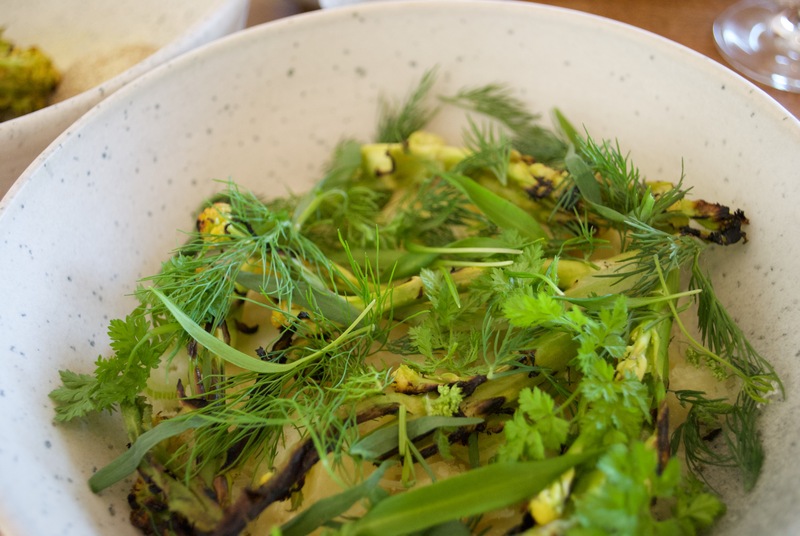 We also order some charred broccoli with anchovy puree, since the anchovy puree sounded too great to pass up. We were right, it was delicious. Dessert is awesome, for lack of a better word. Despite usually opting to share one dessert between us, Andrew and I are so taken by both the rhubarb mousee with custard ice cream and white chocolate crumble and the dark chocolate and buttermilk tart with chocolate rye crust, buttermilk sorbet and prunes that we decide to do our favourite thing: adopt the YOLO mentality and order both. I mean, would you be able to choose?? 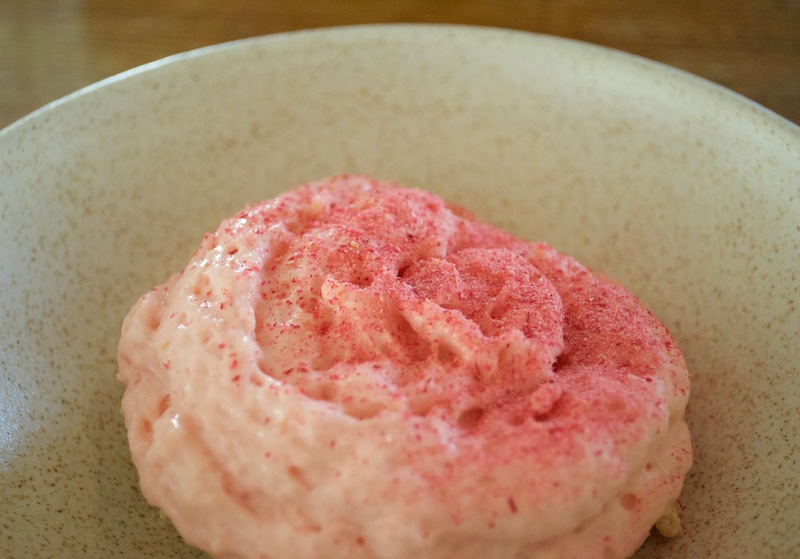 The rhubarb mousse is pleasantly unexpected in presentation- a big pink fluffy cloud akin to candyfloss. Gliding the spoon through this fluffy mousse to the crumble at the bottom is like digging for hidden treasure. And the crumble is definitely the standout of the dish. As for the dark chocolate and buttermilk tart? Perfect, obviously- it’s chocolate. I love the sourness of the rye crust with the sweet yet bitter chocolate and tangy prunes. A winning combination. The staff are formal and attentive, topping up our water intermittently through their tracks around the other tables. When I mention how much I like the dainty water glasses, the waitress enthusiastically tells me they bought them from a charity shop. All part of the effortlessly cool vibe going on at Inver. 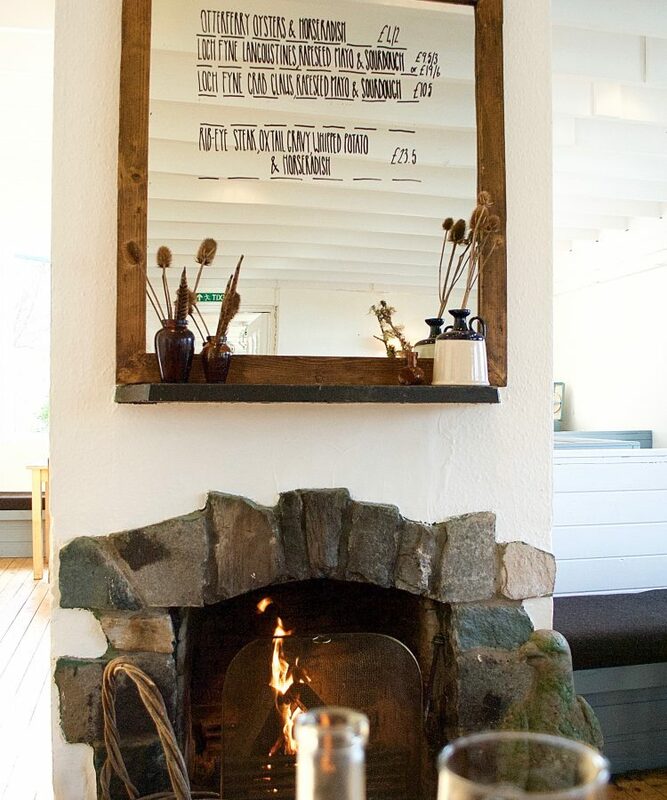 The restaurant area itself is one long room split into three sections, with small cottage like windows looking out towards a gorgeous shimmering loch lined by dense clusters of trees. Watching the pale blue sky dissolve into the hills behind the loch as the night draws to a close is perfect. If you’re seeking a peaceful little respite from the city and some delicious, unusual flavours, Inver restaurant hits the spot. From Glasgow, the journey takes about 1.5 hours by car. I wouldn’t bother with public transport, though. I’m not sure whether buses go down less beaten tracks like these. Hidden gems are hidden gems, after all.